Amazon introduces Echo Auto to bring Alexa to your vehicle | Car News, Reviews, & Pricing for New & Used Cars. Amazon just introduced a new in-car device called Echo Auto that puts Amazon’s Alexa into any car with you. The small device sits on the dashboard of your car and allows you to connect your phone via Bluetooth. Your phone’s cell signal will allow the Alexa on the Go to connect with Amazon’s cloud service, thereby bringing that functionality to your car. It’s capable of interfacing with Waze and Apple Maps, allowing directions to be sent to your phone — if you ask Alexa to find a location it knows of, it’ll provide navigation and information about your point of interest. Its location awareness is also impressive. It can deduce if you’re at home, then unlock your door and turn your house’s lights on if you have a smart door and smart lights connected to it. The little device connects to your car through an aux jack or Bluetooth. And there are eight mics total on it to help recognize people’s voices in loud cars. What’s neat here is that any car with an aux jack will be able to gain advanced infotainment capabilities without a large and expensive screen. You can get it for $50 when it officially goes on sale, or $25 if you buy now at its special “invite price.” Alexa has been slowly creeping into cars for a while now. 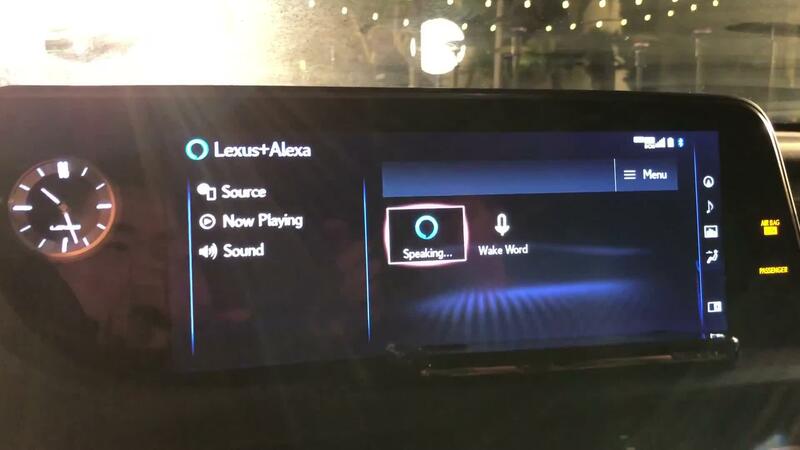 You’ve been able to give commands to an Alexa in the house for it to turn your Genesis on, control features in your Lexus or send directions to your BMW, but this is the first time an Alexa device is venturing into your private car. Of course, do note that Amazon will be collecting even more data on your life, since it will literally be traveling everywhere that you do too.